Rotating tube with ergonomic wide-profile design and comfort dimpled grip. White barrel with white section and rotating tube is standard. Fine point in blue or black ink. 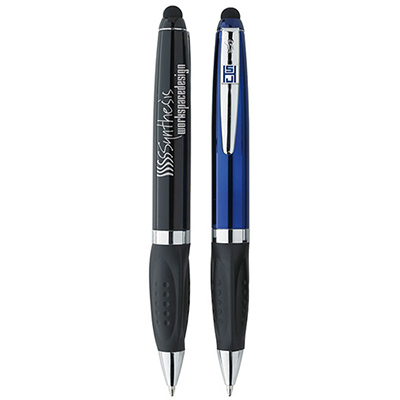 Discount promotional pens can't get any better! 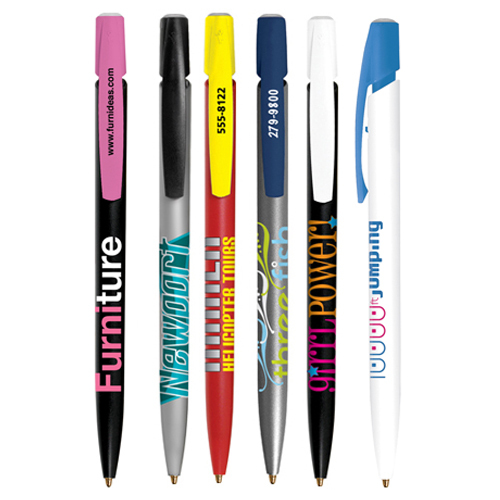 We bring to you Bic promotional pens like the imprinted Bic Widebody Message Pen. 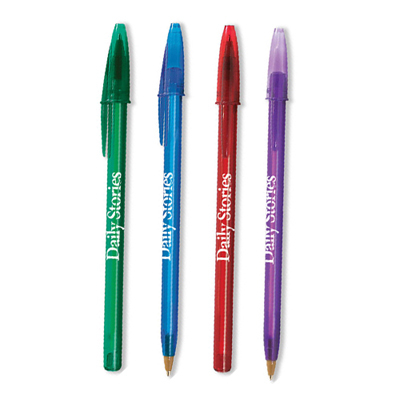 When you want to give away a gift that is practical and promotes your brand well, then these Bic promotional pens are what you need. The wide barrel has a rotating scroll which will display up to 40 characters in one line. Add a message - give out trade show timings, office address or contact numbers. 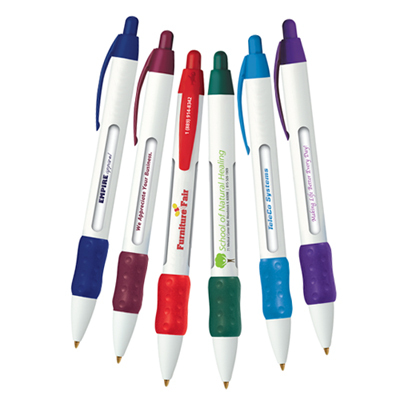 Place your order for the Bic promotional pens today and launch a successful campaign. "A fresh and interesting take on the age-old giveaway. It gives me a chance to promote more than just the logo." 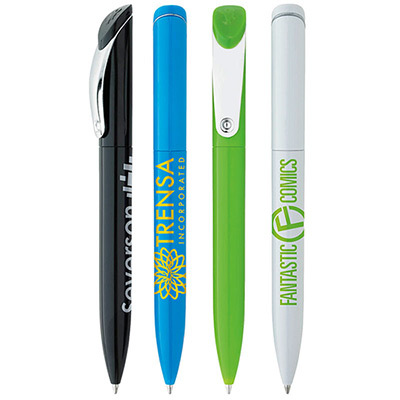 "We gave these pens to our customers and they seemed highly impressed. Thank You. " "Good quality pens. The imprint looked really great. " Rotating tube with your 6 messages.